Rich, vibrant and lifelike colors. Color corrected by our professional staff. Bound with a lay-flat Leporello binding. This is our default paper type - when you order a photo book, you will get luster paper unless you specify otherwise. Luster has a very slight reflective sheen to it (note the faint shadowy and diffuse reflection of the glass stem in the image below.) The surface of the paper has a very fine-grained pebbled finish. Color rendition is bright and life-like with excellent flesh tones and true blacks and whites. 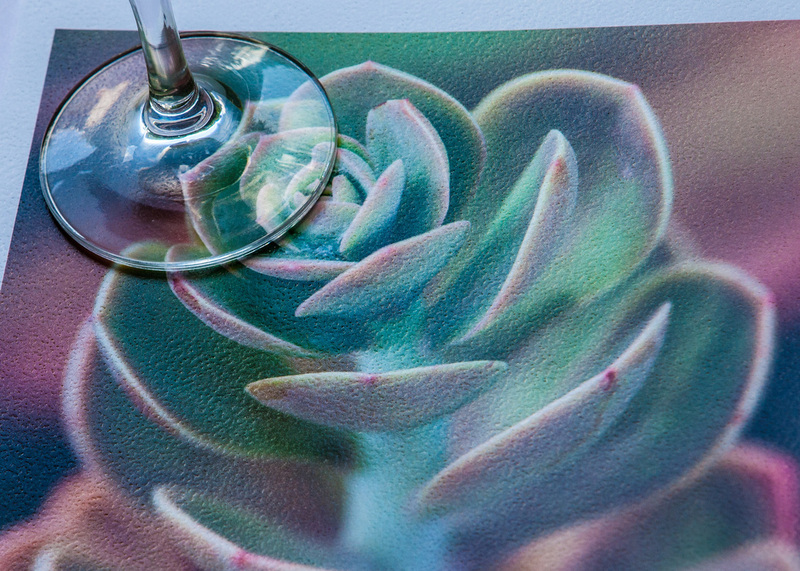 Our High Definition Glossy photo paper has a smooth, shiny finish that has a slick almost wet look (In the image below you can see the clear reflection of the glass stem on the surface of the paper). 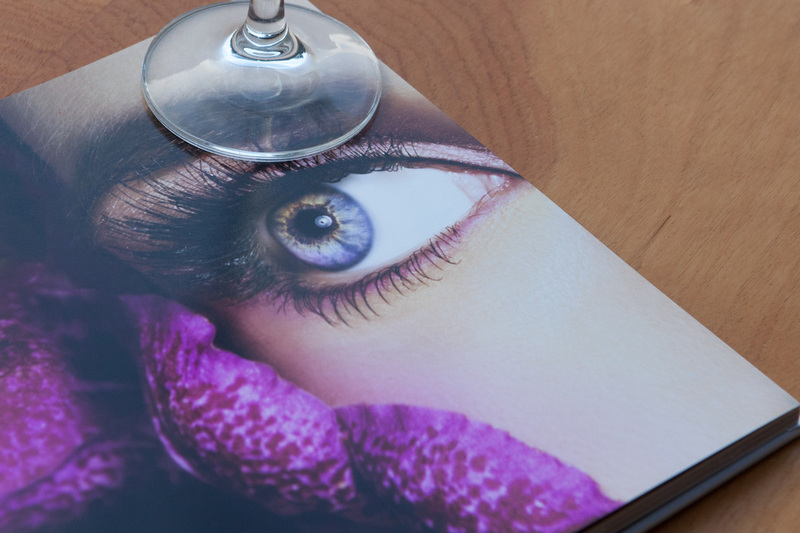 Our gloss paper has bright saturated colors that really pop and a very effective fingerprint-resistant finish. Our linen textured photo paper has a subtle fabric-patterned texture that looks pleasing to the eye and has a comfortable feel. 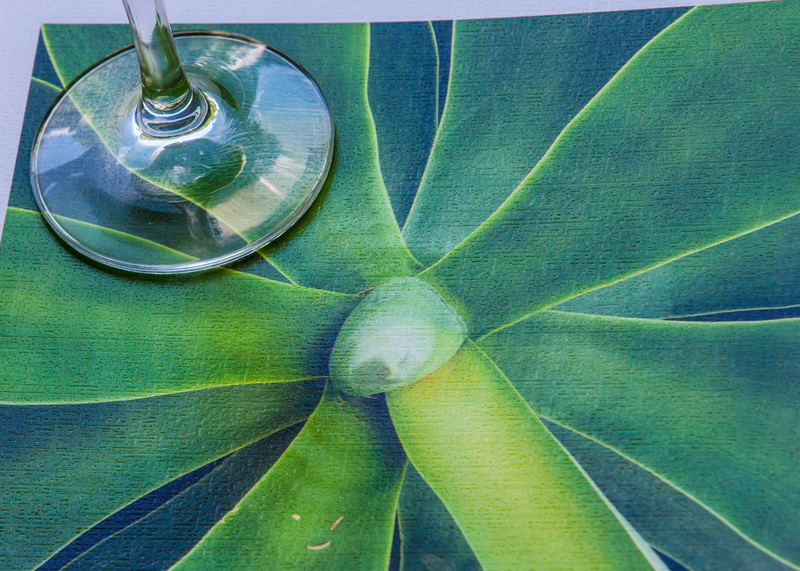 The linen has minimal reflectivity to it's surface as can be seen in the example below. Color rendition and detail are excellent. 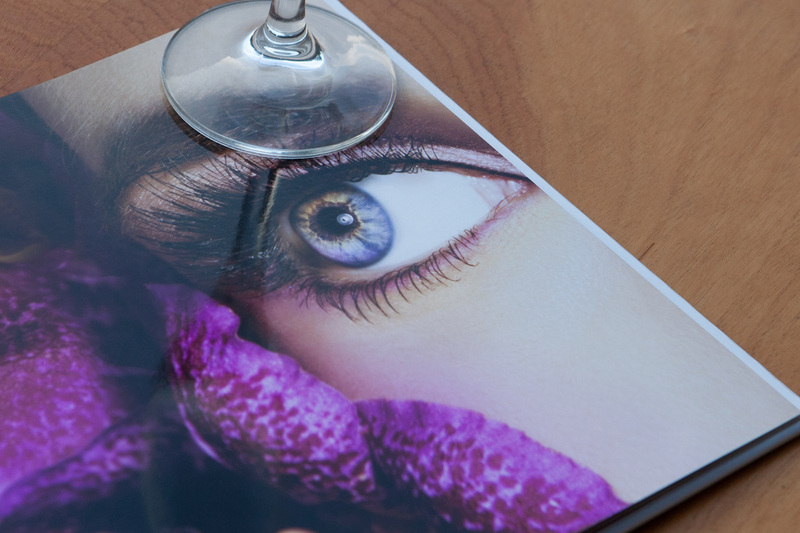 Our Pebble textured photo paper has a rough, irregular pebbled finish. This coarse-grained texture has minimal reflectivity and gives the paper a pleasant artistic look and feel. Color rendition is excellent, with excellent flesh tones and true blacks and whites similar to Luster, but with a much coarser texture.